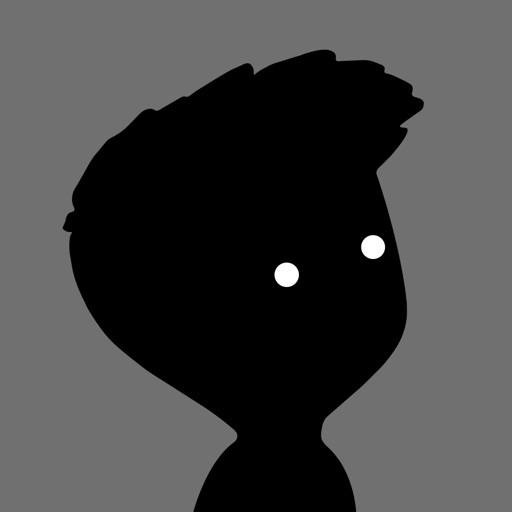 The noir appearance is unusual but certainly apt for this darkly comic puzzle-solver game. I was enthralled and kept playing at every free moment! The game takes classic puzzle concepts (manipulate objects, coordinate timing of switches, etc.) and delivers it in a clever way. There are surprising creepy aspects and morbidly humorous moments (primarily in some of the ways the character dies). I highly recommend the game and am eager to play anything else this developer comes up with! Played this on ps3, so good i bought on my phone. Great game but the controls are awful. Still worth the .99cents though. Stuck on Stage 5 ? This is a beautiful game. Animation and graphics really complement the whole mood of the game. Controls, which is the basic swipe up for jump and swipe left to run or walk, can be a bit difficult for those trying to be extra careful on marginal grounds. But this is a challenging game! Both controls and strategy wise. There is no menu, only an arrow to direct us to the stage we must complete. So so ascetically pleasing, I must say. Thank you for being $1. I only wish there were more games like this. Granted the game does get creepy bordering on downright disturbing at moments but the story is intriguing and and I really like games with an end goal, instead of all the endless pointless repetitive nonsense people call games these days. This game is one of the best if not the best that I have ever played!! The graphics are amazing and beautiful. The game makes you think and also have fun at the same time. If you are trying to decide whether or not to get this game I highly suggest you do get it. The game itself is wonderfully challenging and artistic. The controls leave a lot to be desired. It will run instead of jump, jump off ladders and ledges instead of moving vertically, etc.